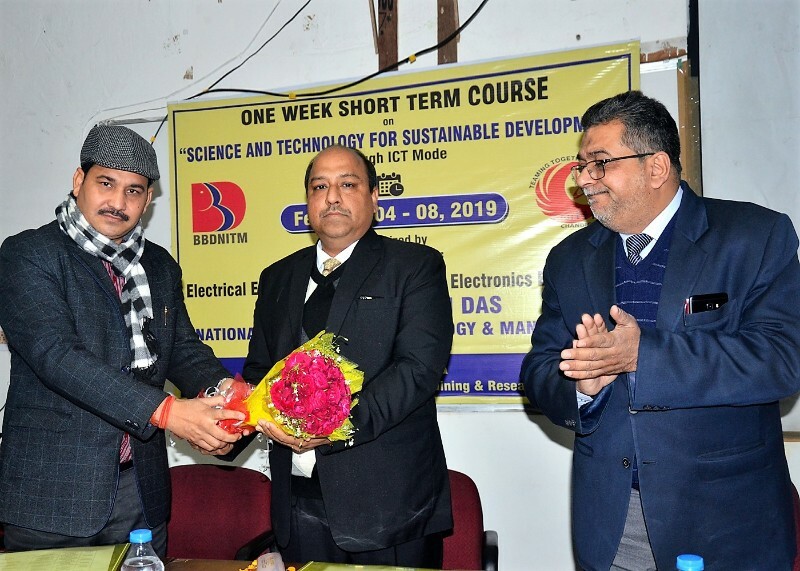 Feb 4-8 , 2019, Lucknow: Electrical Engineering and Electrical & Electronics Engineering Department, BBDNITM organized – five days short term course on “Science and Technology for Sustainable Development” through ICT with “National Institute of Technical Teachers’ Training & Research” (NITTTR), Chandigarh. 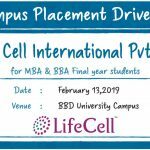 Honorable guests – Prof.(Dr.) Subodh Wariya, Prof. (Dr.) S.M.K Rizvi, Shri P.K. Saxena, Prof. (Dr.) V.K. 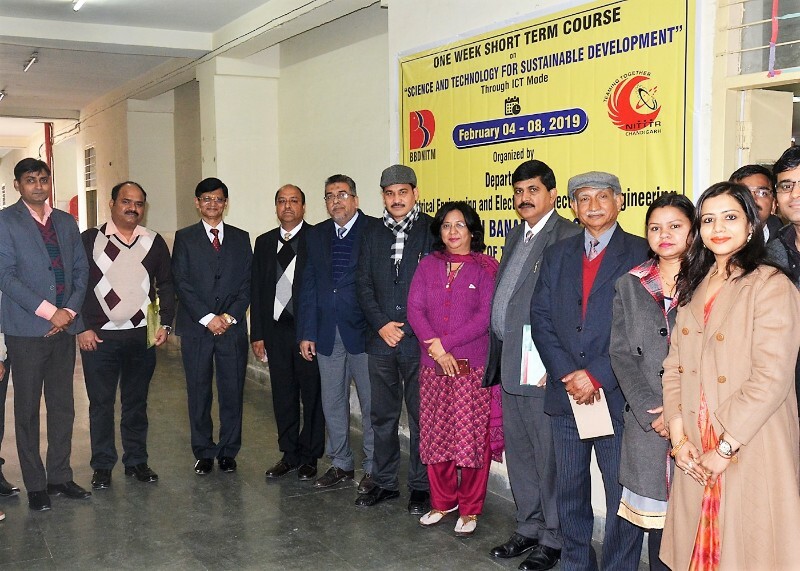 Singh, Prof. (Dr.) Monica Mehrotra, Prof.(Dr.) Bhavesh Kumar Chauhan, Prof. (Dr.) S.H. Abdi were invited for inauguration with ribbon cutting ceremony. 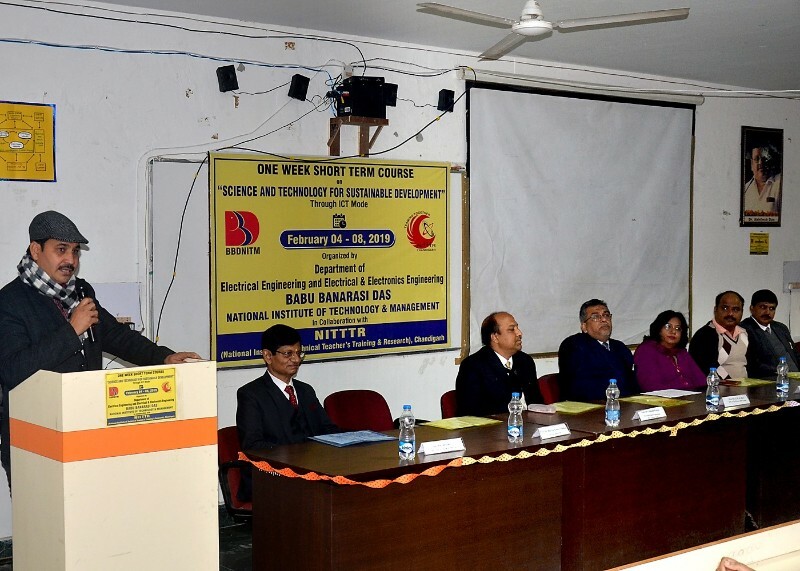 Prof. (Dr.) Subodh Wariya, chief guest, who is Head of Department of Electronics & Communication Engineering of IET College remarked the audience by addressing with his golden words that Sustainable Development and technology are correlated with each other. 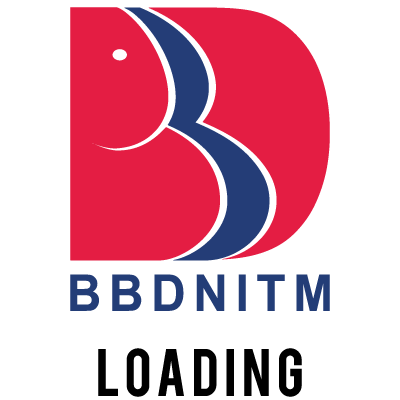 Organizing members are – Prof. Rafik Ahmad (HoD), Prof. Fazlur Rahman, Prof. Adesh Kumar Mishra, Prof. Shivanand, Prof. Kalpana Kureel, Prof. Mrinalini, Prof. Shahab Ahmad, Mr. Krishna Mishra Prof. Nikita Gupta and Prof. Apoorva Srivastava. This course is designed for 5 days with topics to be covered are Water Management, Water Pollution and Waste Management, Green Buildings for Sustainable Development, Smart Grid for Sustainable Power Generation, Electrical Vehicles and Role of GIS for Sustainable Development.